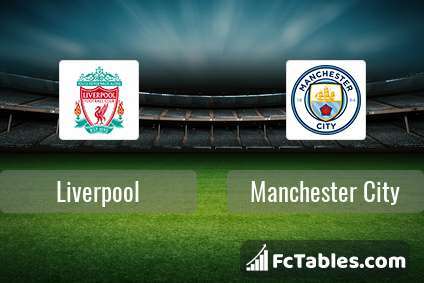 The match Liverpool-Manchester City Champions League will start 04-04 18:45. Referee in the match will be . Liverpool takes place, which promoted to the European cups. Form team looks like this: In the last 5 matches (league + cup) gain 0 points. 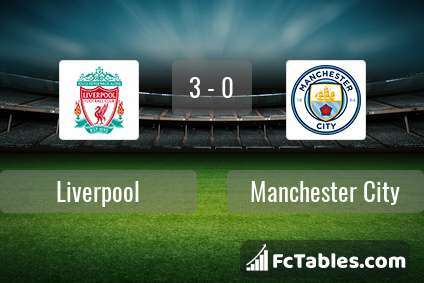 To defend Manchester City the most demanding players will be Roberto Firmino 8 goals, Mohamed Salah 7 goals, Sadio Mane 6 goals, because this season they scored the most goals for Liverpool of the entire composition. Players with the most assists: Roberto Firmino 4 assists, Mohamed Salah 1 assists, Sadio Mane 2 assists. Manchester City takes place, which promoted to the European cups. Manchester City in 5 last matches (league + cup) have collected0 points. Leading players Manchester City in Champions League is: Raheem Sterling 4 goals, Sergio Aguero 4 goals, Gabriel Jesus 3 goals. Players Raheem Sterling 1 assists, Sergio Aguero 1 assists will have to be very well guarded by defenders Liverpool, because they have the most assists. Direct matches: usually ended with winning of Liverpool. 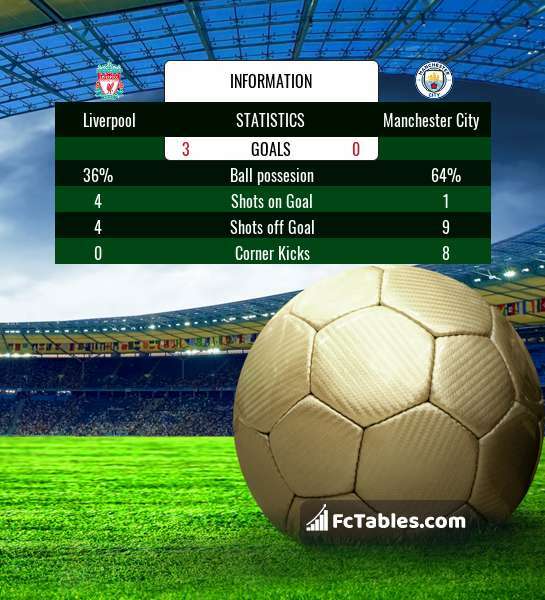 Balace of both teams games are: 19 won Liverpool, 7 wins Manchester City, 14 draws. In 24 matches the sum of the goals both teams was greater than 2.5 (Over 2.5). On the other hand, 29 matches teams scored more than 1.5 goals (Over 1.5). In 23 matches the both teams have shot at least one goal.